You’re not eating enough protein! Eating lots more protein will help you control your blood sugar…and lose weight, too! To learn the truth about protein for people who need to manage their blood sugar, we spoke with dietitian and diabetes educator Hope Warshaw, MMSc, RD, CDE, a member of Bottom Line’s Diabetes Resource Center panel of experts. She is immediate past president of the American Association of Diabetes Educators and author of Diabetes Meal Planning Made Easy, published by the American Diabetes Association. When you eat protein throughout the day can play an important role in helping you maintain muscle and manage cravings. Doing so is healthy for everyone…and especially beneficial for people who are overweight and/or have prediabetes or type 2 diabetes. Why? Most people with type 2 diabetes are overweight or obese, and losing some weight, particularly soon after the diagnosis, especially body fat, can improve blood sugar control. Lean body mass—aka, muscle—burns a few more calories than body fat, even at rest, so maintaining and building muscle is a key contributor to losing weight and keeping it off. (You’ll still need to exercise, of course!) By helping to control hunger, protein also helps control cravings—key to losing weight and keeping those pounds off. But we don’t need to eat more protein to get these benefits. We just need to eat the right kind of protein-rich foods—at the right time. Having prediabetes or type 2 diabetes doesn’t mean you need to eat more protein than anyone else. You almost certainly already eat enough protein. The current recommended daily allowance (RDA) for protein is 0.8 grams per kilogram of body weight—that works out to 58 grams for a man who weighs 160 pounds, or 47 grams for a woman who weighs 130 pounds. In the US, the average man takes in 98 grams, the average woman, 68 grams—way more than those RDAs. Your individual need for protein is…individual. While the RDA is a good general guide, each person’s nutritional requirement for protein (as well as carbohydrate and fat) is unique, depending on age, weight, overall health and health problems, cholesterol, blood pressure and level of activity. Example: Some athletes need more protein than sedentary people. If you have diabetes, talk with your doctor or, even better, work with a certified diabetes educator (CDE) to determine your nutritional needs—and then make a plan that provides you with the right amount of protein at each meal. 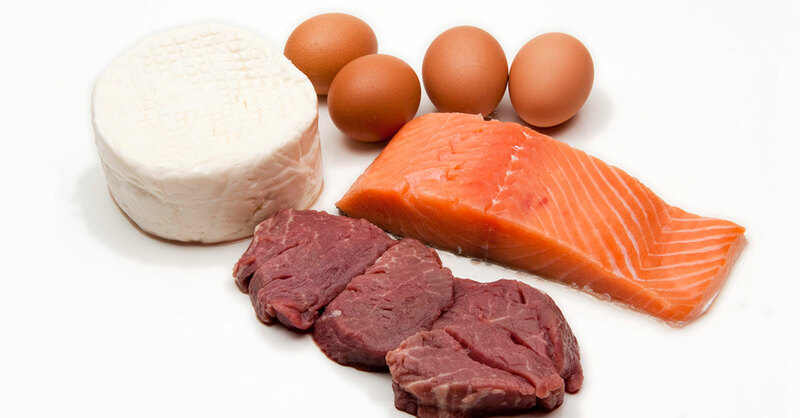 Popular very-low-carb diets can lead to overdoing the protein. People with diabetes so often hear, “Eat low carb!” “Avoid carbs!” But if you cut way back on carbohydrates, you’re inevitably going to end up eating a lot more protein because foods contain a mix of varying amounts of three nutrients—carbohydrate, protein and fat. Problem: Many people who eat less carbohydrate tend to eat more animal protein sources, and that means more saturated fat. (Yes, despite what you’ve heard, eating too much saturated fat is still unhealthy.) Especially bad: Eating more bacon, salami, and cold cuts like ham—these processed red meats are linked not only to diabetes but to increased risk for cardiovascular disease and certain cancers. For some people with diabetes, too much protein is a really bad idea. Around 20% to 30% of people with diabetes will develop nephropathy—aka, diabetic kidney disease. For them, overeating protein puts a big strain on their kidneys. People with nephropathy don’t need to go on low-protein diets—they just need to make sure they don’t overdo protein. A person who weighs 180 pounds, for example, should eat about 65 grams of protein a day. For these individuals, more is definitely not better. The food source of your protein matters. Aim for at least two servings of fish, especially fatty fish, each week—it’s low in saturated fat and rich in heart-healthy omega-3 fats. Eggs and low-fat dairy, including yogurt, are good protein choices for people with diabetes. Skinless chicken is also a good choice. So are nuts and nut butters. Lean red meat is fine in moderation. Plant-based food sources of protein are healthier than animal-based sources. Even omnivores should make an effort to eat more legumes (such as beans, peas, chickpeas and lentils), nuts, soy and tofu, as well as meatless products such as veggie burgers. Plant-based foods give you not only good-quality protein but also fiber plus healthy fats. Note: Yes, these do contain carbohydrates—and that’s fine! If you’re counting the amount of carbohydrate you eat, count these too. But legumes and other plant-based protein-rich foods are good for your blood sugar—they convert slowly into glucose as you digest them. The most underappreciated truth about protein? It’s the importance of eating the right amount of protein at every meal. The timing of protein intake matters. Many people eat too many carbohydrates and too little protein at breakfast, some protein at lunch—and way too much protein at dinner. Indeed, most Americans eat about half of their daily protein at dinner. Most of that extra dinner protein goes to waste. Our bodies, it turns out, aren’t very good at hanging onto amino acids—the building blocks of protein. We need a regular supply over the day to provide the amino acids we need for many bodily functions—including building lean body mass, aka muscle. Yet research reveals that the body can use only about 25 to 30 grams of protein from any one meal. You’d be in that ballpark if you ate one cup of cooked lentils (18 grams), three ounces of turkey breast (18 grams), one cup of low-fat cottage cheese (27 grams) or one cup of canned tuna (39 grams). Six ounces of nonfat Greek yogurt (17 grams) plus one ounce of almonds (6 grams) would get you there too. That 10-ounce steak? It includes about 70 grams of protein and a bunch of calories from fat—and most of it isn’t used for its primary muscle-building purpose. It just gets converted into fuel or stored…as body fat. But just as big a trap is eating too little protein at any one meal. You’re not helping your body build lean muscle, which burns more calories at rest than body fat—and plays a key role in controlling weight. As we age, we tend to lose muscle, so finding ways to maintain what we have is a good thing. At the University of Texas Medical Branch in Galveston, researchers have shown what happens when you eat too little protein at certain meals and too much at others. In one study, when healthy men and women ate low-protein breakfasts (about 11 grams), fairly low-protein lunches (16 grams) and really high-protein dinners (63 grams), their bodies built 25% less muscle mass over 24 hours compared with days when the same total amount of protein was evenly distributed over breakfast, lunch and dinner. (Earlier research reported similar results.) Getting enough protein in a meal may also help keep you satiated, so you don’t need to eat as much. That’s important if you’re watching your weight. So have a smaller portion of protein at dinner. Balance that with your intake at breakfast and lunch. It’s one of many small, incremental changes that you can make to manage prediabetes and diabetes.